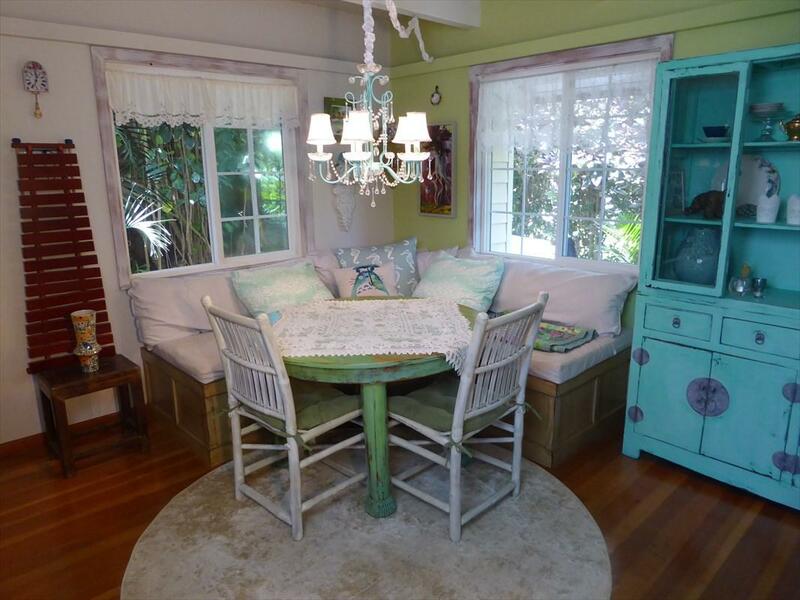 Hawaiiana Cottage is a true gem! This is a very sweet property on a nice-sized lot, surrounded with tropical landscaping, and tucked back off Laipo Road. 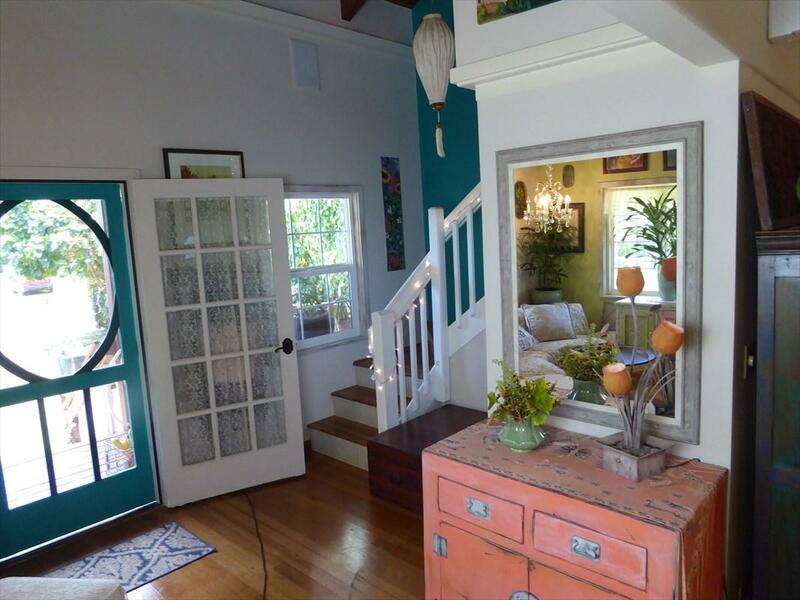 The floor plan is open & airy bursting with ambiance. 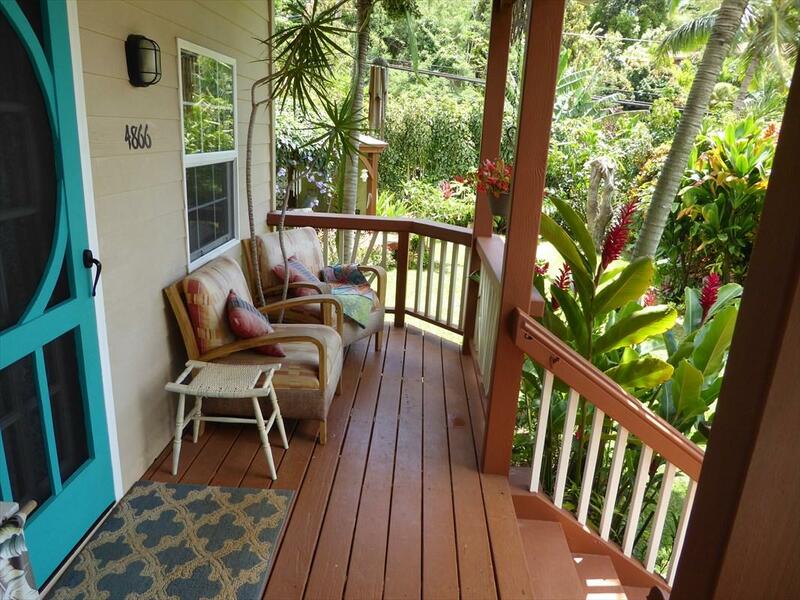 Relax on your front porch under the covered lanai. Home features a vaulted beamed ceiling and lots of windows to capture natural light and the tradewinds. This cottage is artfully designed with a storybook feeling, and it even has a vine-draped Garden Gazebo! The loft-style Bedroom with en-suite bathroom is spacious and bright offering great comfort. Watch the clouds overhead through the skylight in the shower! Some features are: handcrafted solid cherry cabinets throughout, with red fir hardwood floors in dining & living areas and ceramic tile in kitchen and bath. Washer/Dryer are conveniently located inside the house. Note what a great kitchen this little house has, including a gas stove and glass-front upper cabinet. Planted by a chef, ALL the wonderful cooking herbs are growing in the yard, along with two avocado trees: Basil, two kinds of oregano, marjoram, parsley, shizo, thyme, rosemary and tarragon!A perfect getaway or retreat or forever home. 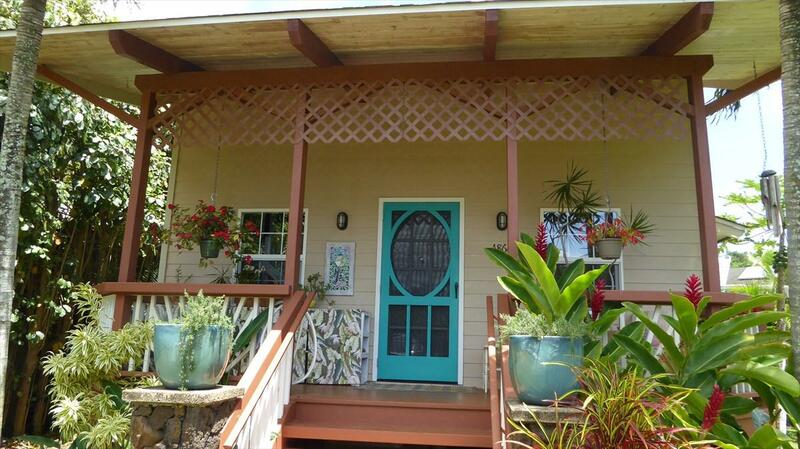 Only Half a mile to Kealia Beach and the Bike path, and close to schools, churches and Kapaa Town. Listing courtesy of Country Brokers Ltd..